This year at QuakeCon 2018 Bethesda had quite a bit to show during their presentation. Within their keynote, they unveiled some free-to-play news for Quake Champions, showed off an in depth look at RAGE 2, and debuted the launch trailer for ESO: Wolfhunter. But what seemed to be one of their biggest highlights of the show was the world premiere of gameplay for the publisher’s upcoming title DOOM Eternal. 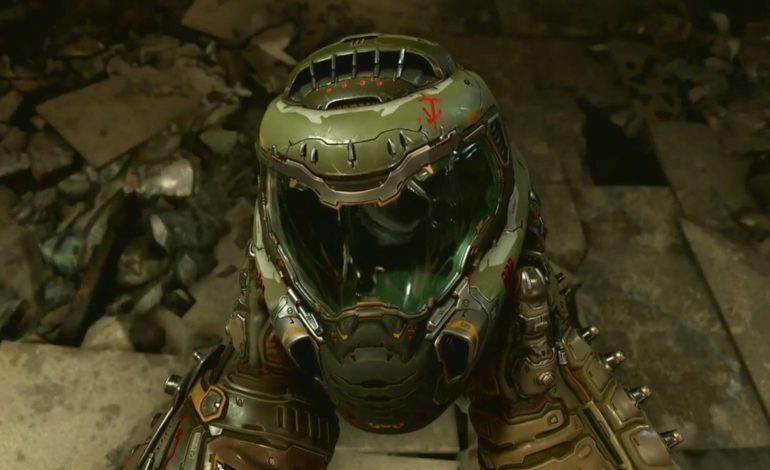 DOOM Eternal was initially revealed back during Bethesda’s E3 2018 press conference. They showed a teaser trailer revealing the project, however, not much was said about the project up until this point. Fans in attendance at the publisher’s QuakeCon presentation got a firsthand look at some new concept art for the Slayer that shows the hero’s new additions to his armor. They also showed off a few new weapons as well as the demons that the players will be using them on. They also commented that players will physically be able to see their progress of an enemies demise as their bodies will deteriorate or be destroyed as they are shot down.